NASA captured images on its Terra satellite, with five of the of nine cameras on the Multi-angle Imaging SpectroRadiometer (MISR) capturing a series of photographs about seven minutes after the meteor hit the atmosphere. The space agency then used those snaps to create a GIF. 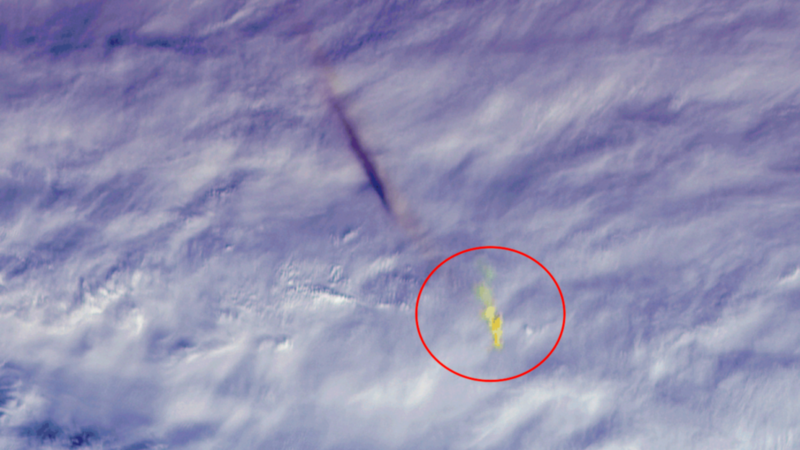 A still true color image was captured by the Moderate Resolution Imaging SpectroRadiometer (MODIS) instrument, and shows the remnants of the meteor’s path as a dark shadow cast on the clouds.